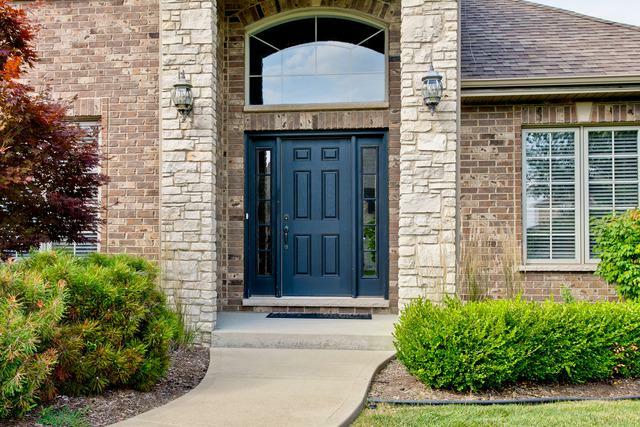 Stunning two story home is just what you have been waiting for! Over 3200 Sq Ft! 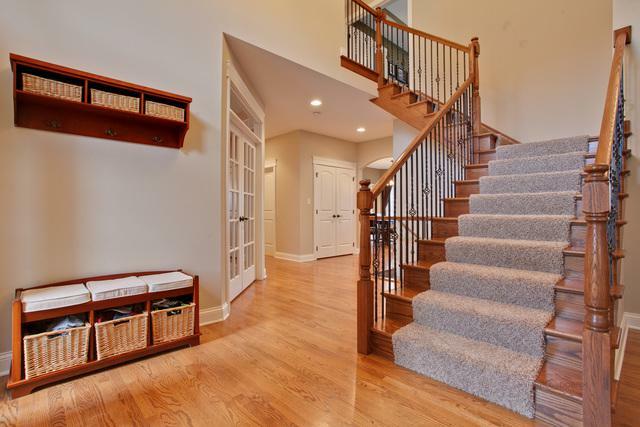 Walk in & be greeted by the gleaming hardwood floors, two story foyer & grand staircase. This home is the perfect combination of function and finishes. Front sitting room w/ gas fireplace & bookshelves leads to the large dining room w/ wainscoting. Gourmet kitchen w/ birch cabinets, breakfast bar, granite counters, travertine backsplash & stainless steel appliances. Sliders to large deck and stamped concrete patio overlooking professionally landscaped lot.Open floor plan w/ family room off the kitchen is great for entertaining! Master bedroom w/ tray ceiling,walk-in closet & bathroom with soaker tub, separate shower, dual vanities & separate commode. English basement w/ rough-in plumbing for bathroom is awaiting your finishes.Upgrades include 6' vinyl privacy fence, outdoor accent lighting, built-in Christmas lights along roofline(just flip a switch & it is the holidays! )sprinkler system, gas generator!